Danielle Rose Russell belongs to the category of Generation Z stars who are making waves in Hollywood. This young lady has featured in an impressive number of TV series and movies. She is, however, most famous for her role as Hope on the supernatural TV series, The Originals. Her portrayal of the extremely powerful tribrid (vampire/werewolf/witch) was so excellent that she got her own spin-off show titled Legacies. It also won her many fans and admirers. Get to know more about the starlet here, including her bio, movies and TV shows, body measurements and so much more. Danielle Rose Russell was born on the 31st day of October 1999. She is a native of New Jersey and spent her formative years in various parts of the state, including Pequannock and West Milford. She had her education at the Holy Spirit School located in Pequannock. Danielle Rose Russell commenced her career when she was a child. Her mom encouraged her to go into the showbiz industry and she started out as a child model, appearing in print and TV commercials for different companies. While doing this, she also honed her acting skills by taking part in several school productions. Russell landed her debut Hollywood role in the 2014 political thriller, A Walk among the Tombstones. The movie featured Liam Neeson as a former police officer seeking redemption. He helps a family to rescue their kidnapped daughter and Russell plays the role of the kidnapped girl named Lucia. The movie generated mixed reviews but nevertheless, it did well at the box office. Since making her humble debut in 2014, Danielle Rose Russell has appeared in not less than eight TV shows and movies. Her feature films include Aloha (2015), Pandemic (2016), Wonder (2017) and Measure of a Man (2018). Wonder is a comedy/drama which tells the story of a boy named Auggie, who is suffering from a rare facial deformity. The movie focuses on his struggles to fit in at school and in society. Russell played the role of Miranda, best friend to Auggie’s sister. The movie featured an A-list cast, including Julia Roberts and Owen Wilson and received majorly positive reviews. It was also a box office hit as it grossed more than $300 million on a budget of just $20 million. On the small screen, Danielle Russell Rose has starred in TV series such as The Originals, The Last Tycoon and Legacies. The latter is Russell’s first starring role. She headlines the TV series as a tribrid named Hope who joins forces with other young supernaturals in order to protect her community. Hope and her fellow supernaturals attend the Salvatore School where they learn how to control their powers and abilities. 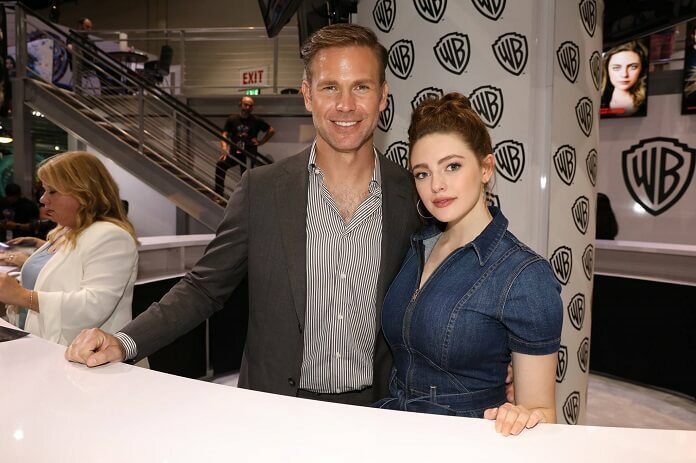 Legacies debuted in October 2018 and consistently received positive reviews, as well as high ratings. Danielle Rose Russell is 5 feet 3 inches tall (1.6m) and weighs 117lb (53 kg). Other additional measurements are chest – 34 inches, waist – 24 inches and hips – 34 inches. Further measurements such as shoe and dress sizes are still unavailable. The New Jersey native, however, has luxuriant brown hair, as well as blue eyes. Danielle Rose Russell hails from a family of showbiz. Her mom, Rosemary Rado, was a professional dancer. She danced on Broadway and was a member of the famed synchronized dancing group – the Radio City Rockettes. Her father, on the other hand, was a singer and his name is Ricky Russell. There is currently no information about any siblings she may have. Since becoming an actress, Russell’s parents have been with her every step of the way. Her mom often accompanies her to shooting locations. She also ensures that she does not fall behind in her studies. Danielle Rose Russell has revealed that her mom inspires her as an actress and as a person. According to the actress, her mom encourages her in whatever she does. She also gives her the freedom to make decisions concerning her career. 1. She initially schooled at the Holy Spirit School located in Pequannock but due to the demands of her career, she plans to complete high school and college classes online. 2. She has a beloved dog named Romeo. 3. Her favourite pastimes are reading, shopping and travelling while her favourite cuisine is Italian. 4. She spent three and a half months in Hawaii for the shooting of the 2015 movie, Aloha. The movie follows a disillusioned military contractor, Brian Gilchrest, who is forced to re-examine his priorities in life. 5. She was actually born on Halloween’s day – 31st October 1999. 6. In the course of her career, Russell has shared the screens with superstars such as Bradley Cooper, Donald Sutherland, Emma Stone, Rachael McAdams, Alec Baldwin and John Krasinski.